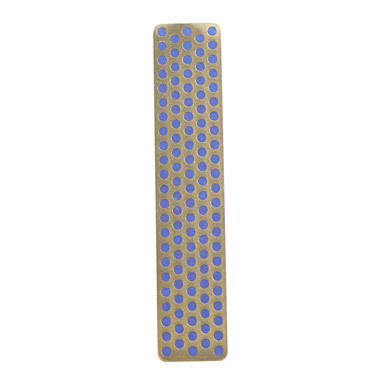 DMT Diamond Whetstone™ sharpener - 4" pocket model. Convenient pocket model 110mm (4 inch) Diamond Whetstone™ sharpener with protective leather sheath for easy access to a variety of sharpening, honing or filing needs. Sharpening with diamonds is fast and easy. No messy oils needed - sharpen dry or with water.